More than 2,000 people have been forced from their homes, at least 600 from the Little Grand Rapids and Pauingassi First Nations, as dozens of wildfires blaze through Manitoba. There are 51 fires currently active in the province. Eighty firefighters from Ontario and two water bombers from Quebec are helping local teams battle the blazes. Four First Nations communities have already been evacuated. Little Grand Rapids, approximately 260 kilometres northeast of Winnipeg, is considered to be the hardest-hit among them. 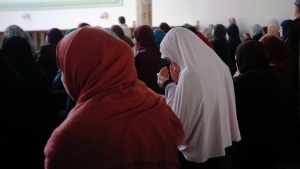 Residents have been huddled together in a school gymnasium as small passenger planes and a Canadian Armed Forces Chinook helicopter are being used to bring evacuees to safety. Evacuation orders have also been issued for Pauingassi, Sapotaweyak Cree Nation and Jackhead. 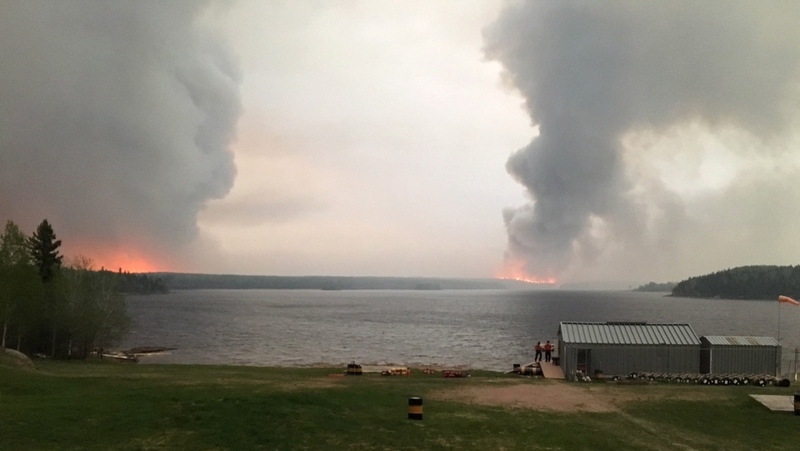 The same blaze that hit Little Grand Rapids has spread to about five kilometres within the neighbouring community of Pauingassi, forcing the evacuation. The situation is marginally better in Sapotaweyak Cree Nation, where water bombers are being used to control a separate blaze. In Jackhead, the local fire departments are making “good progress” on the fire they’re dealing with, according to the province. The town of Ashern has been alerted that an evacuation might be on the horizon. A fire line has been built to protect the area, but residents are prepared to leave if things get out of control. “We’re setting a perimeter and we’re letting the fire essentially stay (within) that perimeter,” said Robert Pike, deputy fire commissioner with the province. Manitoba has already seen 164 wildfires this year, more than 60 above the average for this time of year. Rain is in the forecast for the next two days, but some residents are worried an accompanying thunderstorm will only make things worse.